What hope Showtime giveth of a Dexter revival, it taketh away on Cyber Monday: The pay-cable channel has had to shut down a rumor it (or its social media team) inadvertently started on Twitter about a follow-up to its faltered-at-the-finish-line crime drama. According to The Hollywood Reporter, Showtime sent out a Thanksgiving tweet to its Dexter followers, along with a photo of the Morgan, Masuka, and McKay families gathered for the holiday meal (guess Batista’s invitation was lost in the mail). 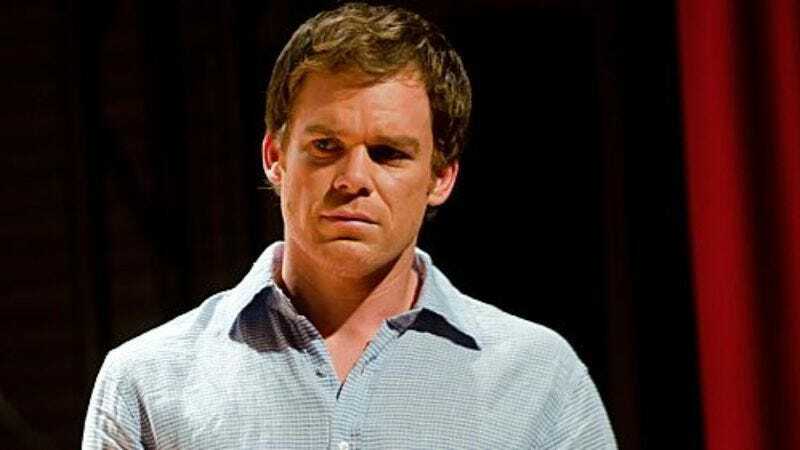 Showtime’s continued to engage Dexter fans on social media despite the show being off the air for the last two years, so the celebratory tweet was nothing unusual. But the photo’s caption, “His knife’s freshly sharpened,” sparked speculation that Showtime was cooking up a sequel series. The rumor’s since been disseminated enough to warrant a response from Showtime, whose representatives told THR that there are no plans for a revival. Sorry, Dexter fans, but it doesn’t sound like we’ll see Michael C. Hall making his own maple syrup under the alias Chad Sexington anytime soon.